When you’re an astronomer you see a lot of amazing things through telescopes. 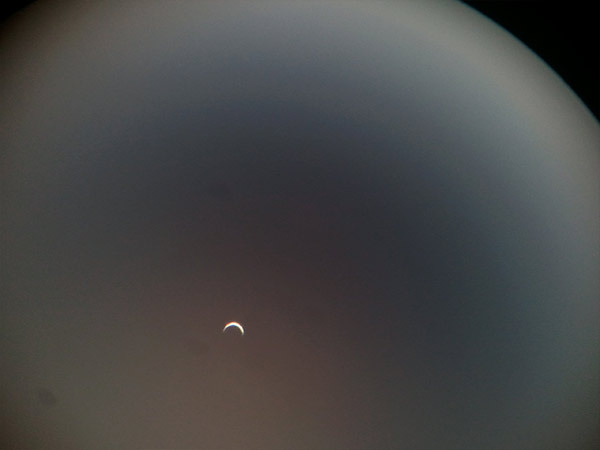 Sometimes you just want to capture it on a photo, but taking pictures through an eyepiece can be notoriously tricky. However, if you keep at it you sometimes get some pretty cool results. Some of the pictures I’ve taken look impressive in their own right, and have a quality of their own that’s hard to replicate by doing ‘proper’ astrophotography. 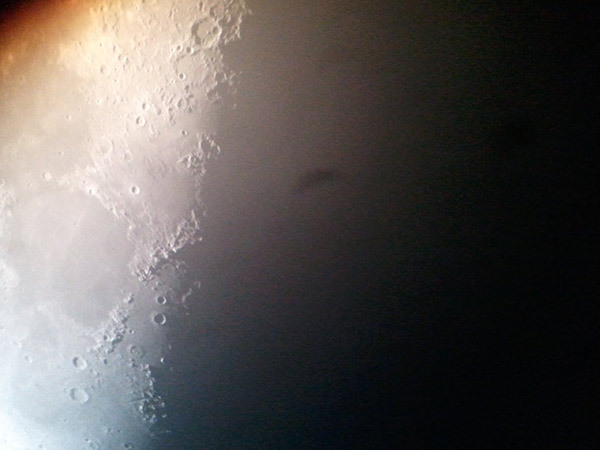 Here is the Moon shown through one of the Dobsonian telescopes that belongs to The York Astronomical Society – you can make out plenty of detail on the craters too. 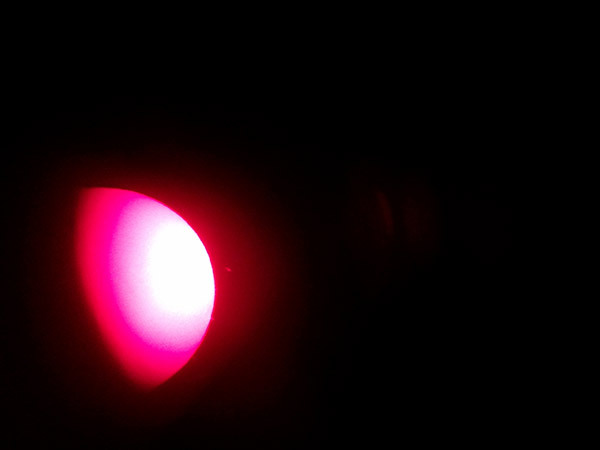 This is a very cool picture of the Sun taken with an H-alpha solar telescope. 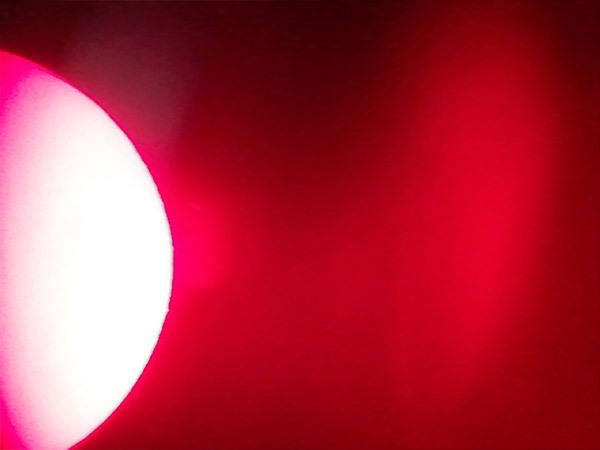 With this one you can just about make out some stuff coming off the surface of the Sun, though it’s very tricky to get detail when taking a photograph this way! 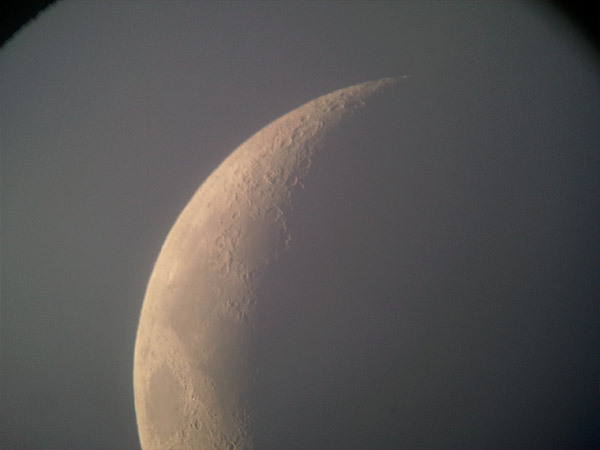 Another picture of the Moon here, this one was taken with Annette Newby‘s telescope in the early evening. And finally – I’d forgive you if you mistook this for a picture of the Moon – but it’s actually the crescent Venus, taken later on in the same evening. Oh, my God!! That’s mega cool!! What is the stuff coming off the sun? Orange juice drips? I love these Jules. You are an even better man that I had thought.